The Creative Mates Rainbow Bands has the 2 outside columns of 11 pegs, and the middle column with 10 pegs for a total of 32 pegs. The loom is molded from a single piece of plastic with the columns staggered to one another. The kit comes with the loom, loom tool, 600 elastics and clips. 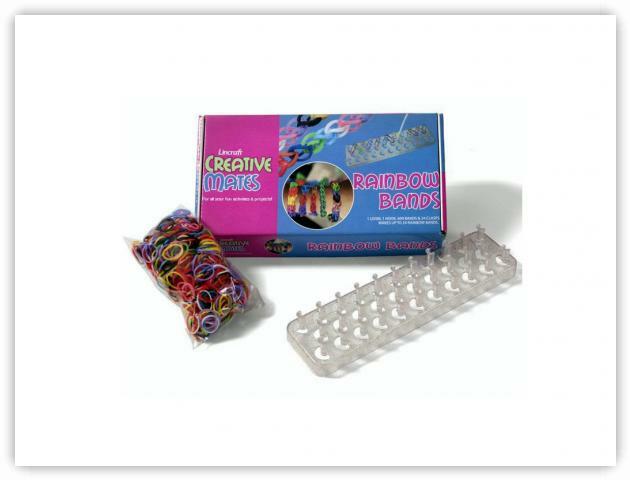 Creative Mates Rainbow Bands is available through Lincraft in Australia.